Yoga is the best practice to kick-start your day in a healthy and active way. And one of the important products you require to perform the activity is a yoga mat that we Nikos bring to your doorway. 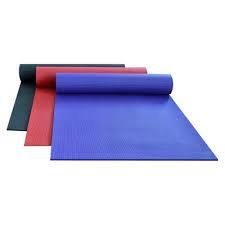 We are here to present you the latest collection of Yoga Mats In Pune Mumbai. Its great quality is highly appreciable that help you perform all the sessions in a proper way. The thickness of the yoga mat varies and you can choose any of them as per your need for the perfect grip and a perfect support. Being the leading Personalized Yoga Mats Suppliers In India, we pay attention to the highest possible quality, so, it will provide you grip, comfort, and best feel. Additionally, these are available in different sizes and colors and designs that you can choose as per your taste and preferences. We have an amazing collection of Custom Yoga Mats that comes in different hues and designs that you can easily customize as per your need. You can even use it in your promotional activities and print your company name or logo on it for better brand exposure. Exercise Mat – Are They Really Necessary? Yes, they are because with a yoga mat you can perform your session properly. They maintain a proper grip on the floor and preventing you from slipping. They also provide a great level of comfort and feel during the yoga exercise. A tiny investment is to start your yoga, which is good for your health. We have the Best Exercise Mat to offer all our clients. If you have any such requirements, you can contact us directly through phone calls or emails. Drop us your email with all the requirements and our experts will be in touch with you shortly.